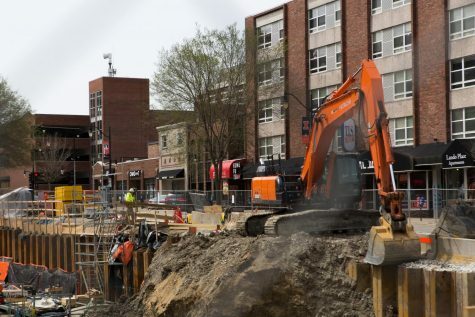 Because of stricter regulations, bar business slows for Unofficial weekend. Lines outside Kam’s and Red Lion stretched only across the side of the bar, while no line was visible outside of Joe’s. 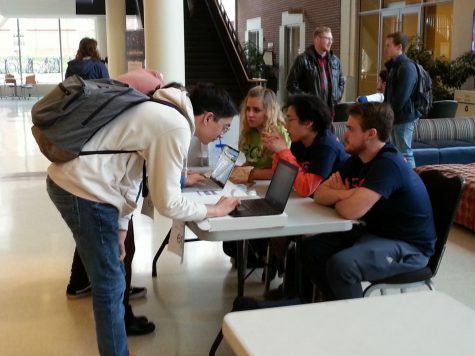 “On a Saturday night, [the line] is usually longer than this. The bars are 21 [and over] today, so a lot of people who aren’t 21 are just at house parties,” said Camille Gay, senior in LAS. 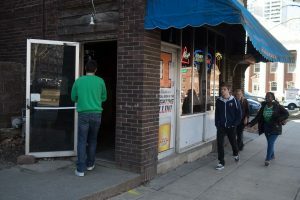 Business is slow for most campustown bars at the moment, with the exception of KAMS, where a handful of students are lining up at the door. 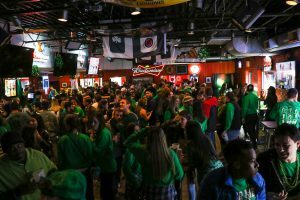 Most bars have notices stating the entry age is 21 for Unofficial weekend. Bar influx is expected to increase as the day progresses. 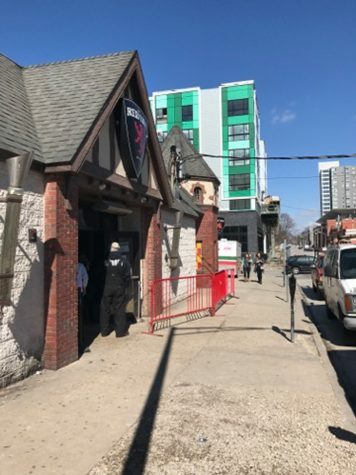 The Red Lion on Unofficial St. Patrick’s Day for March 3. Looks like people need their morning joe before heading to Joe’s. 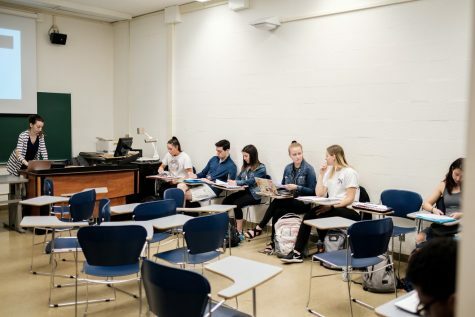 No line in sight. No line at Joe’s Brewery on Unofficial St. Patrick’s Day March 3. Firehaus is not “fire” at the moment. 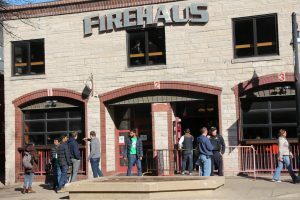 Firehaus is not as popular as it would be on a regular night during Unofficial on March 3rd. Clybourne is generally crowded during Unofficial on March 3rd. Happy Hour 2 p.m. to 6 p.m.
Not even the Irish pub can attract Unofficial participants this early. 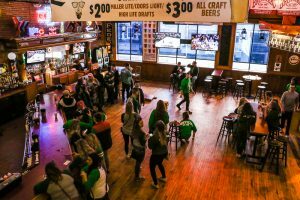 Brother’s Bar & Grill experiences a relatively low turnout for Unofficial 2017 on Friday. 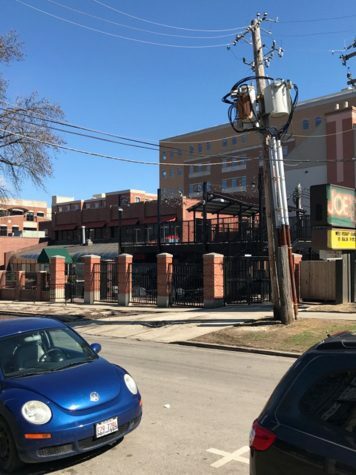 KAMS appears to be the busiest of the Campustown bars at the moment. Though they have no bar deals. 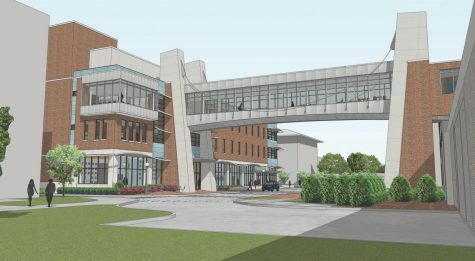 Can’t leave out the Illini Inn… or can you? Little to no crowd at the Illini Inn currently. 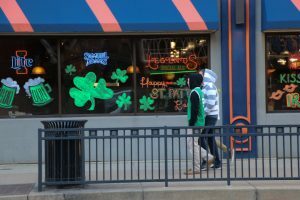 Students walk past the Illini Inn on Unofficial St. Patrick’s Day. They also have no bar deals. Legends is maintaining its reputation as a levelheaded bar. There are people inside, though there is little commotion. 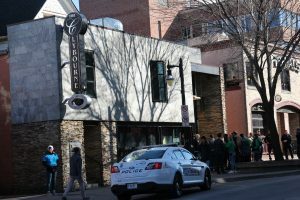 Students walk down Green Street in green to celebrate Unofficial St. Patrick’s Day. No deals, but they are serving Green beer.